M+B is proud to present Mike Brodie’s highly anticipated second solo exhibition, A Period of Juvenile Prosperity. The exhibition of thirty new color photographs will be Brodie’s first solo exhibition in six years and opens in conjunction with the publication of Brodie’s first monograph bearing the same name, published by Twin Palms. The exhibition will be shown simultaneously in New York at Yossi Milo Gallery and run at M+B in Los Angeles from March 16 through May 11, 2013, with an opening reception and book signing on Saturday, March 16 from 6 to 8 pm. For three intense and prolific years, Brodie crisscrossed the states hopping trains, hitchhiking and employing whatever freely available means to fuel his burning lust for movement. The resulting photographs weave a telling photo narrative relatable to Kerouac’s On The Road, capturing the raw spirit of adventure and unbridled freedom Brodie and his friends sought and lived. A natural, Brodie’s camera functioned as an extension of himself, an obsession. There was no thought-out intention to document or record, the resulting images just happened after Brodie found a Polaroid SX-70 on the backseat of a friend’s car. Soulfully and intimately depicted against a constant backdrop of movement are savages “riding suicide,” maps in filthy hands, tender moments of slumber and ruddy faces framed by wind-whipped hair eagerly leaning into the next adventure. Brodie’s tightly knit traveling community was bound by movement, ravenous for life’s varied experiences and interactions and fueled by an intense curiosity to see, to feel, to meet something and someone beyond the towns in which they had been raised. Living outside of society’s norms, this highly creative group lived neither on nor off, but parallel to the beaten path, gleaning society’s detritus along the way to support their chosen version of the American Dream. The photographs also document a period of transition in Brodie’s life—just after puberty and just before manhood— when hitchhiking for the thrill of the open road, catching rides on freight trains bound for another nowhere town, eating the food left to rot by others and drinking the cheapest alcohol that crosses your lips seems like a perfectly logical and honest way to spend your days. Brodie’s tableau repurposes symbols of decline—trains, Polariods, 35mm film, thrift store clothes—into a seemingly alluring form of ad hoc glamour and freedom tinged with punk rock idealism. The characters drift through post-industrial America. The result: a balance of comeliness and crustiness, filth and beauty, all finely measured by movement, a desire to move on and, at some point, move out of the picture. Although Brodie was never trained, his photographs are an honest and sincere look at the practice of photography that can only come from historical unawareness of the medium. Unknowingly, Brodie’s images follow in the footsteps of photographers like Robert Frank, William Eggleston, Walker Evans and Nan Goldin. Born in 1985, Brodie was raised between Phoenix and Pensacola along with his younger brother, Jake, by a single working mother. Perhaps one might assume Brodie had little to lose when he hopped his first train at seventeen, but Brodie wasn’t escaping, he was searching. Since that first train ride, Brodie has ridden over 50,000 miles through forty-six states, documenting the people and places he encountered along the way. From 2004 to 2006, Brodie shot exclusively on SX-70 Time-Zero film, earning him the moniker the Polaroid Kidd: a name he would tag on boxcars and walls. When Time-Zero film was discontinued, Brodie moved from these carefully framed gems to more candid moments shooting with a 1980 Nikon F3 with 35mm film from 2006 to 2009. The immediacy of the photographic medium combined with Brodie’s innocence of spirit and raw approach provides a distinct style and authentic voice within the lexicon of photographic history that is so uniquely his own, while simultaneously characteristically American. 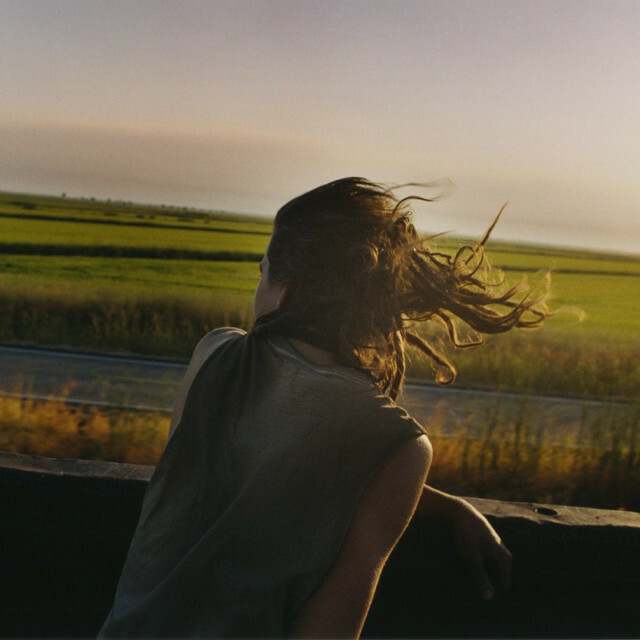 Mike Brodie won the Baum Award for Emerging American Photographers in 2007 and has been included in exhibitions at the DeCordova Museum (Lincoln, MA) and the Sonoma State University Art Gallery (Sonoma, CA). Brodie’s work is held in the permanent collections of the San Francisco Museum of Modern Art and the Berkeley Museum of Art. Brodie’s first exhibition in 2006 at M+B garnered critical attention, and his work went on to be reviewed in The New York Times, The New Yorker, American PHOTO, pdn and others. One never to gravitate towards attention, as soon as Brodie began gaining fame for his images, he retreated into obscurity, focusing his obsession on becoming a diesel mechanic: a job that he currently pursues in Oakland with the same passion he approached to image-making.